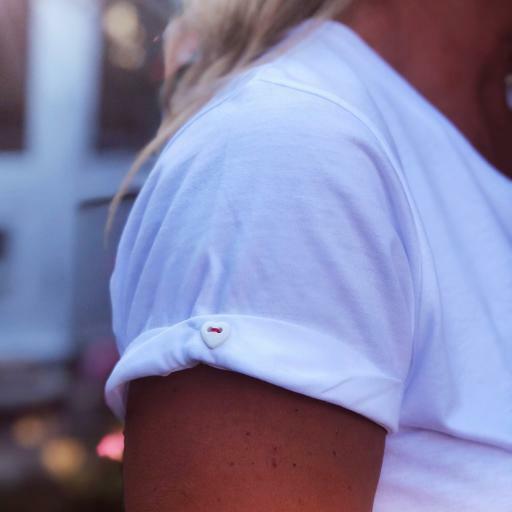 Choose what you would like to say and have it embroidered onto one of our organic cotton T shirts. Great as a gift or a way to express yourself. You can choose any colour thread. 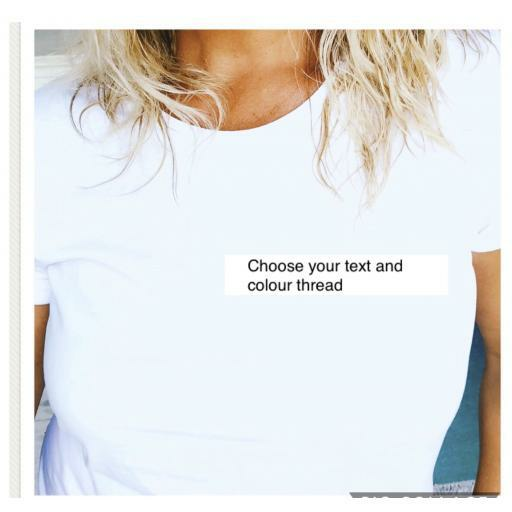 T shirt with your choice of embroidered slogan, 1 line of max 18 characters. choose your choice of thread. - As seen in picture, Wash per label instructions.